Do You Use Project Fi WiFi Calling? 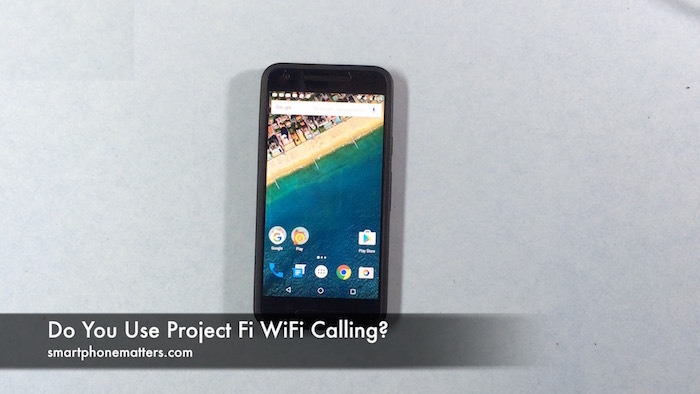 In this video I talk about WiFi calling with Google Project Fi’s prepaid wireless service. About a month a go, I saw a message on my Nexus 5x saying “Configuring WiFi calling”. I took a screenshot of the message becauuse I knew I’d want to check this out later. I haven’t looked at Wifi calling before because I my haven’t had any issues with voice calls, cellular works fine in my area. Today I had some time to try an experiment to see if I could force the phone to use WiFi calling. I put the phone in Airplane Mode then turned on WiFi. I then made a call to my other phone and sure enough the dialer showed it was making the call using my home WiFi network. I’ve always wondered whether Project Fi can take use other WiFi networks or only the ones you have access to. Maybe I’ll see if it automatically connects to the Google WiFi network at Starbucks.